A few days ago we talked about how archaeologists might have located the ancient theater at Akragas, Sicily. 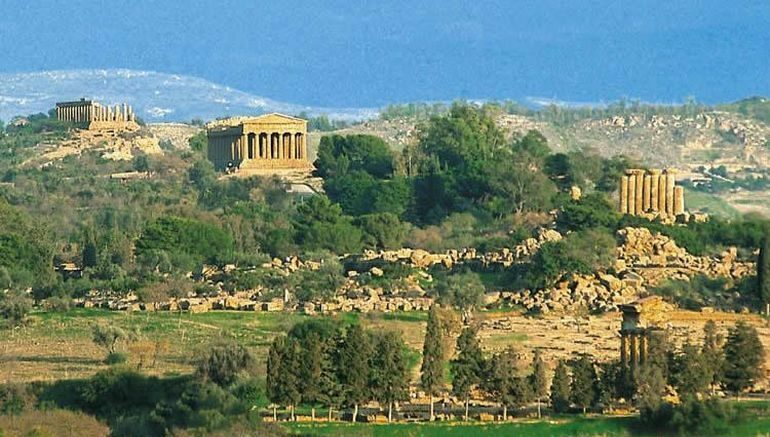 Well a study conducted in 2015, by a team of Kiwi and Italian researchers, revealed the orientation of the ancient Greek monuments at the city’s famed Valle dei Templi (Valley of the Temples). Interestingly enough, the research invalidated the popular belief that these temples were originally built to face the sun and shows that, while some of them are indeed aligned with astronomical events like the full moon, there are others whose construction was influenced by an altogether different set of factors, such as urban planning. Published on arXiv.org, the research was conducted by scientist Giulio Magli, in collaboration with Robert Hannah at New Zealand’s University of Waikato and Andrea Orlando of the Catania Astrophysical Observatory. In the study, the team thoroughly surveyed the Valley of the Temples, in order to determine the orientation of the ancient structures. 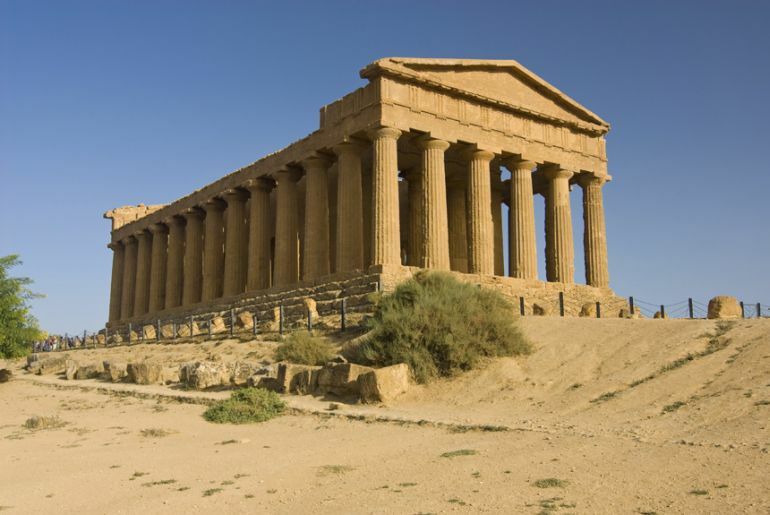 Located in Akragas (or Agrigento) in the southern part of Italy, the site houses the remains of as many as 10 Doric shrines, each dedicated to a Greek god, goddess or hero, such as Juno, Heracles, Demeter and Persephone, Olympic Zeus, Vulcan, Concordia, Aesculapius and so on. 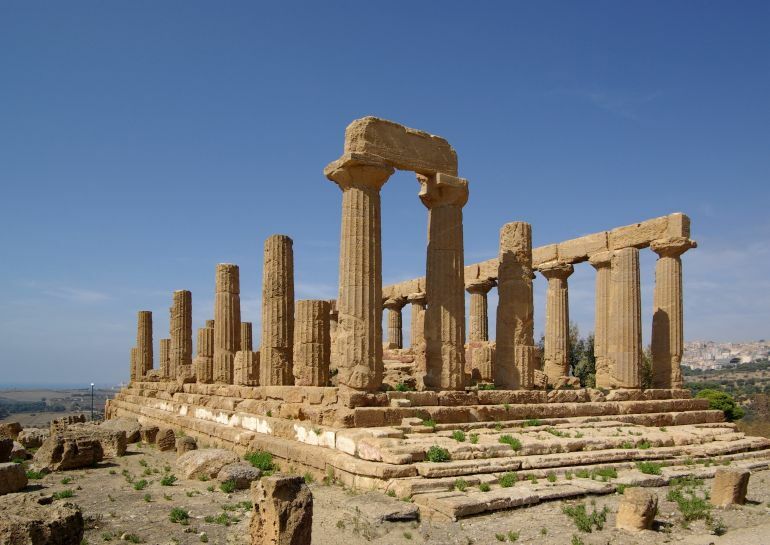 The Temple of Concordia at Sicily’s Valley of the Temples. Alignment was widely determined by urban layout and morphological aspects of the terrain as well as religious connections… For such temples, only a general rule imposing the facade towards the eastern horizon was applied. However, they were not orientated toward the rising sun on specific days of the year. One can only imagine the spectacle at the temple. The full moon near the winter solstice – the longest night of the year – culminates very high in the sky and remains in the sky the longest. The Temple of Juno was aligned to the stars in the Delphinus constellation. We can imagine a nocturnal procession coming up from the fountain sanctuary and reaching the temple, in front of which, however, there is not enough space to house worshipers. Then they gathered in the vast esplanade on the back of the temple. From there, they would have witnessed the spectacle of the full moon high over the hill of the acropolis.